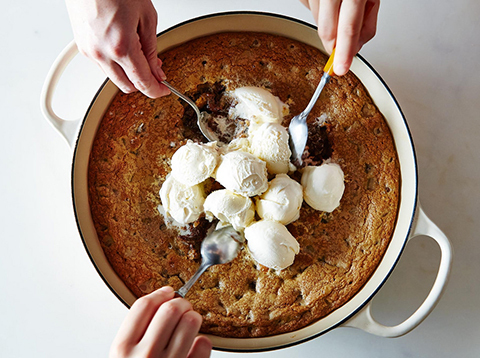 Day-off power move: Bake a gooey batch of cookies into a skillet, then top it with heaps of ice cream. Three-day weekends offer an extra 24 hours to do whatever the hell you want. 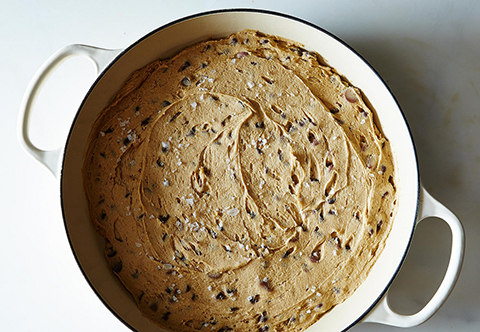 We suggest hosting a no-frills dinner party, featuring delicious burger staples, 2014’s best beers, and this recipe for a party-sized cookie pie courtesy of Food52. Sit around the table (or cross-legged on the floor) and dig into this colossal cookie with friends. Be sure to top it with loads of ice cream and chocolate fudge once it’s out of the oven and sitting in front of your guests. This might be the one thing that will make you forget Tuesday is around the corner. Get the instructions and see the full recipe here. Heat oven to 375° F. Mix together the cookie dough. Don’t over-mix. Sometimes, it’s better to be safe and do the final bit of mixing by hand. Spread dough into a skillet or a braiser, preferably something enamel. Bake for 20-25 minutes, if you can contain your excitement for that long. Scoop ice cream on top while the cookie is still hot. Obviously, vanilla is the O.G. choice, but you could add some next level progressive flavors, if you so choose. Your ice cream will quickly begin to melt into your cookie, and then into the little divots that result from feverish scooping. Remember, you’re all in this together. 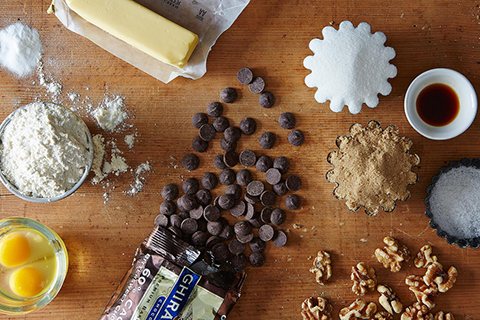 This article and recipe originally appeared on Food52.